DETROIT - The Coalition for Black and Jewish Unity, a historic new partnership between the Council of Baptist Pastors of Detroit and Vicinity and the Jewish Community Relations Council/AJC, marked Black History Month by hosting an exclusive kickoff and leadership forum on Tuesday at the Charles H. Wright Museum of African American History in Detroit. 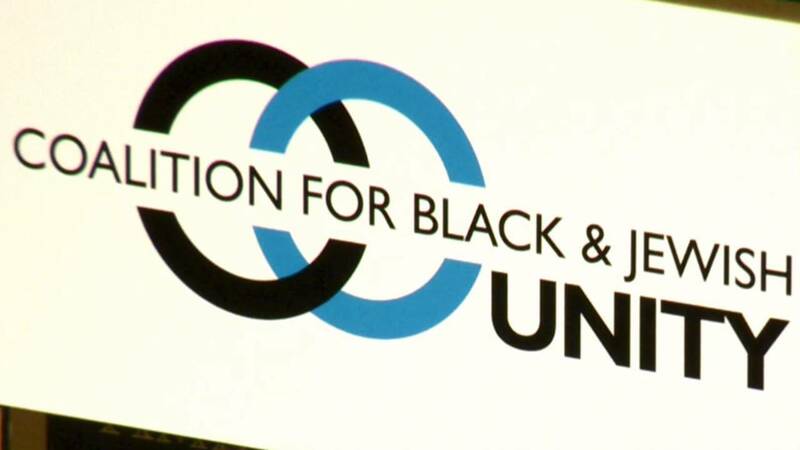 Inspired by the African proverb, “If you want to go far, go together,” the Coalition for Black and Jewish Unity is dedicated to promoting solidarity between the Black and Jewish communities, by jointly speaking out against racism and anti-Semitism, and working to identify future leaders who are committed to promoting unity, education and good relations between the two communities. The program brought 150 leaders from both communities together to forge new bonds and advance the vision for this important relationship. The effort is particularly significant during a time of partisanship and division in our country, when voices of hatred and intolerance have been amplified. An excerpt from the documentary film, "Shared Legacies: The African-American Jewish Alliance," which focuses on Dr. King’s relationship with the Jewish community and the vital alliance between the Black and Jewish communities during the critical days of the civil rights era was shown during the program. During the evening, the Coalition previewed perspective plans for future programs, including a Black-Jewish Seder, a joint lecture series, Rev. Martin Luther King, Jr. and Holocaust Remembrance Day commemorations and efforts to engage students in future leadership development. The Coalition is chaired by Rev. DeeDee M. Coleman, President of the Council of Baptist Pastors of Detroit and Vicinity and pastor of Russell Street Missionary Baptist Church, and David Kurzmann, Executive Director of the Jewish Community Relations Council/AJC. Rabbi Marla Hornsten of Temple Israel and President of the Michigan Board of Rabbis, and Rev. Kenneth J. Flowers, pastor of Greater New Mount Moriah Missionary Baptist Church are members of the Coalition’s Executive Committee. The program has been made possible by a grant from the Ravitz Foundation. "Shared Legacies: The African-American Jewish Alliance" documentary film was developed by Dr. Shari Rogers, Ph.D. of “Spill the Honey,” a non-profit organization committed to advancing public knowledge of the Holocaust and the Civil Rights Movement and promoting human dignity.